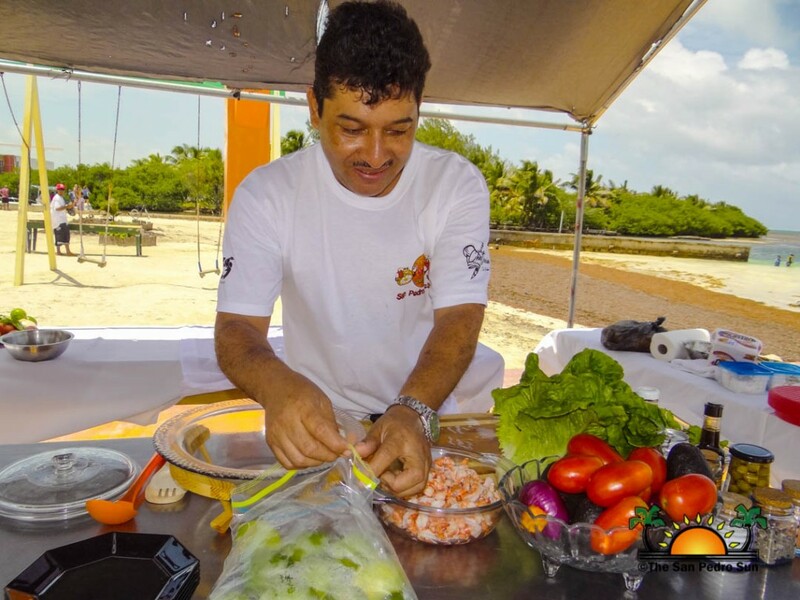 For the first time ever, Area Representative and Minister of Tourism, Culture and Civil Aviation, Manuel Heredia Jr. hosted a ceviche making completion. Being an island with strong ties to the sea, San Pedro residents consume large amounts of seafood, and one of the best ways to prepare it is in ceviche. 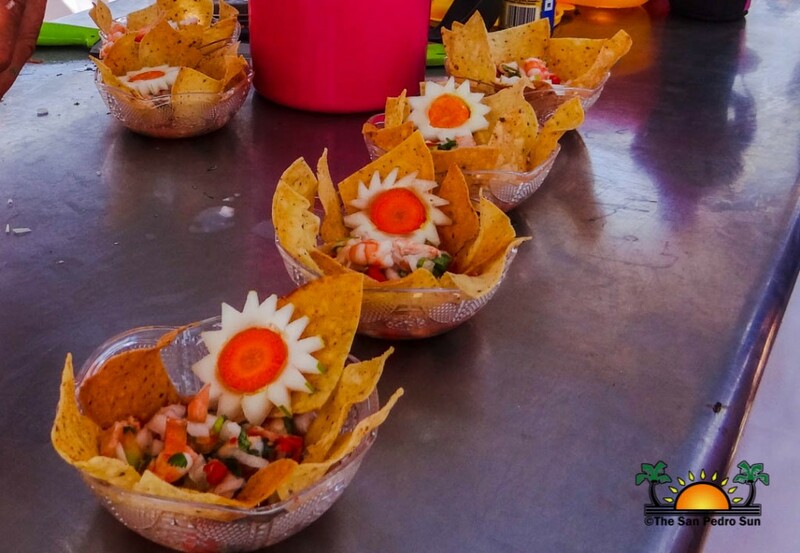 As such, on Sunday, June 28th, five residents tested their ceviche making skills and put their best dish up for judging. 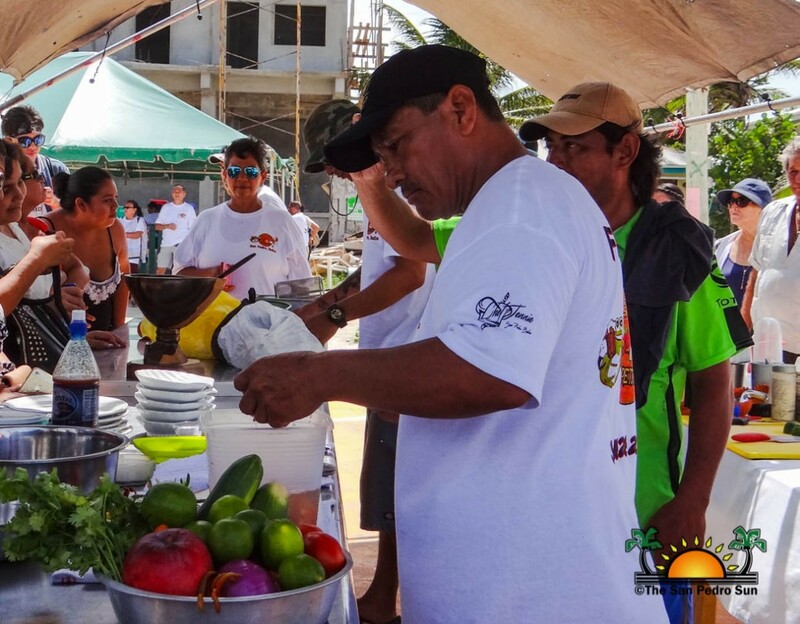 Each competitor had 30 minutes to prepare their tasty treat. 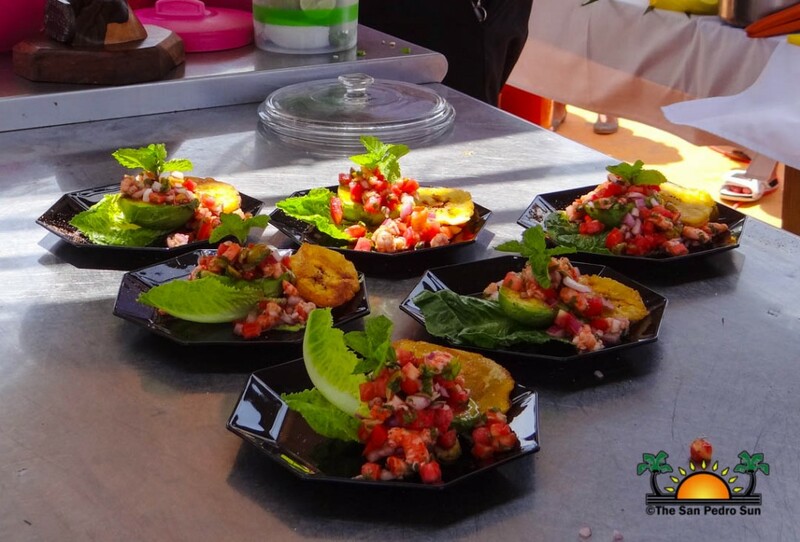 Contestants were judged on taste, skill and presentation. 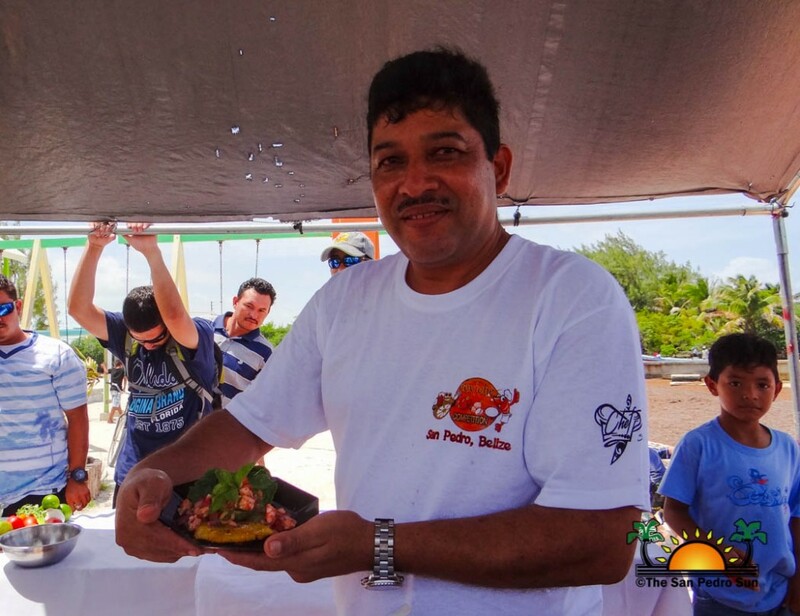 Among the panel of judges was Heredia himself, who is always eager to try a good ceviche. 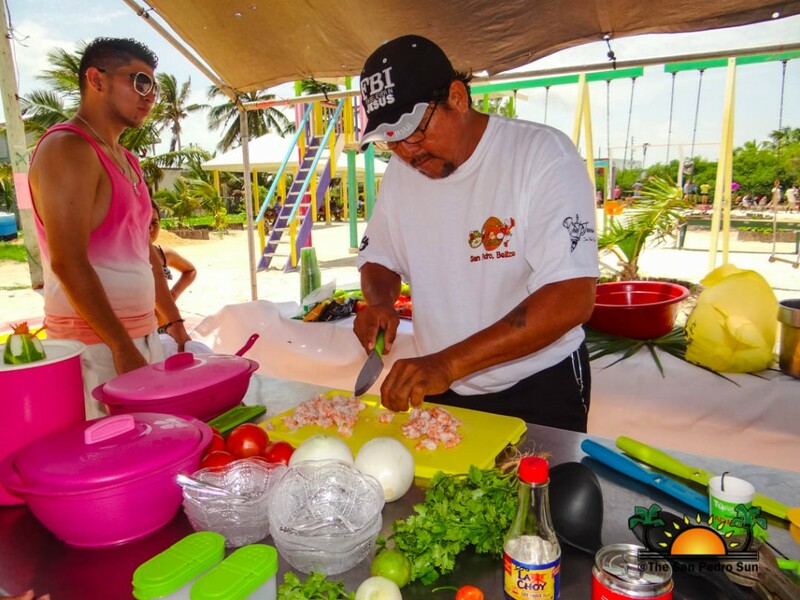 The contestants artfully prepared the ceviche, mostly using shrimp as their protein. 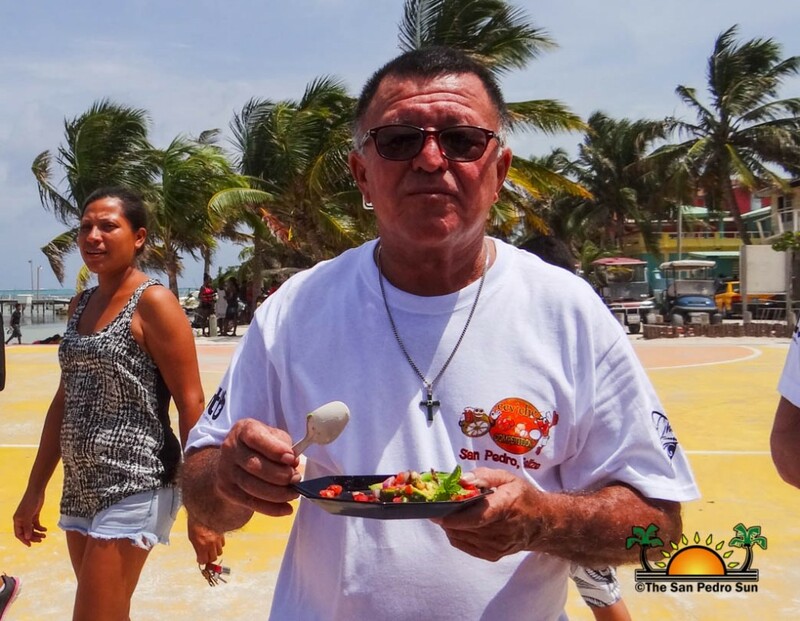 While some chose to use only the tradition vegetable such as onion, tomatoes and cilantro, others added seasonal vegetables and fruits like avocado, mango and pineapple to their mix. 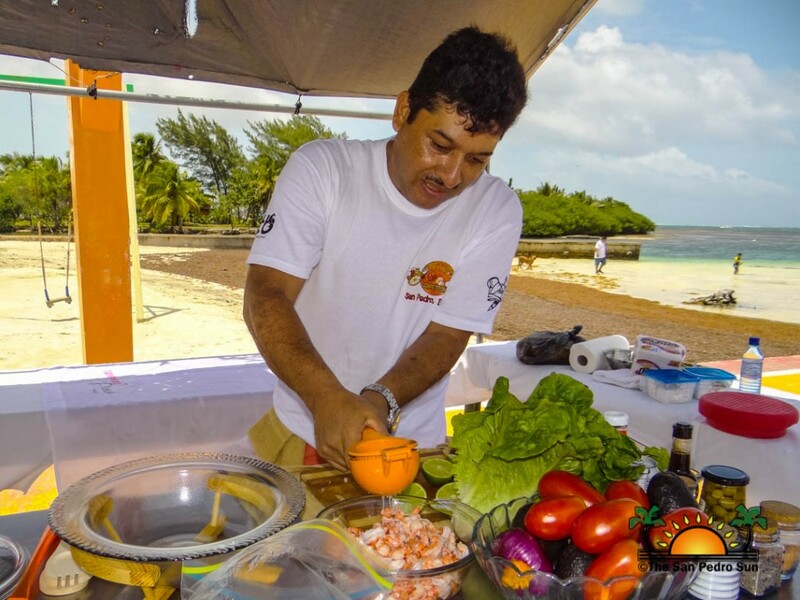 Of course, the quintessential lime juice and habaneros were in every dish. 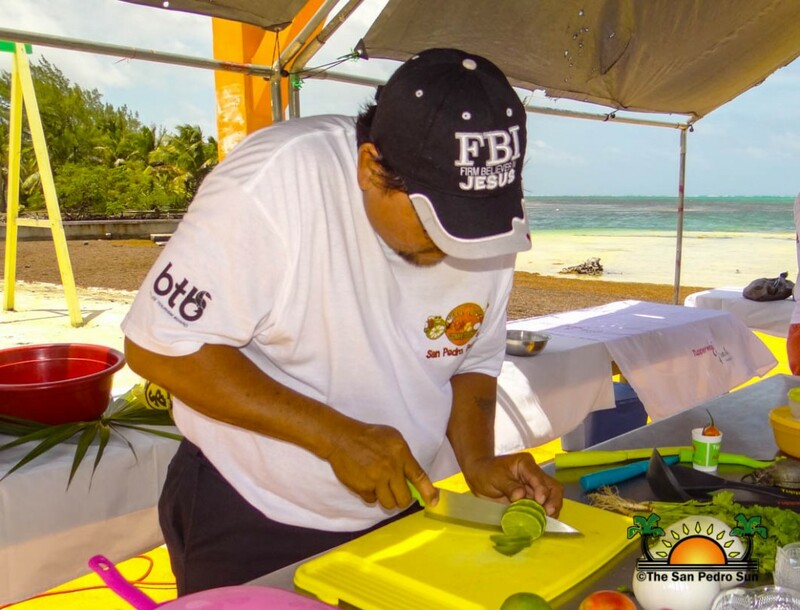 Participants also took extra time working on a flawless presentation, impressing judges with their culinary skills. 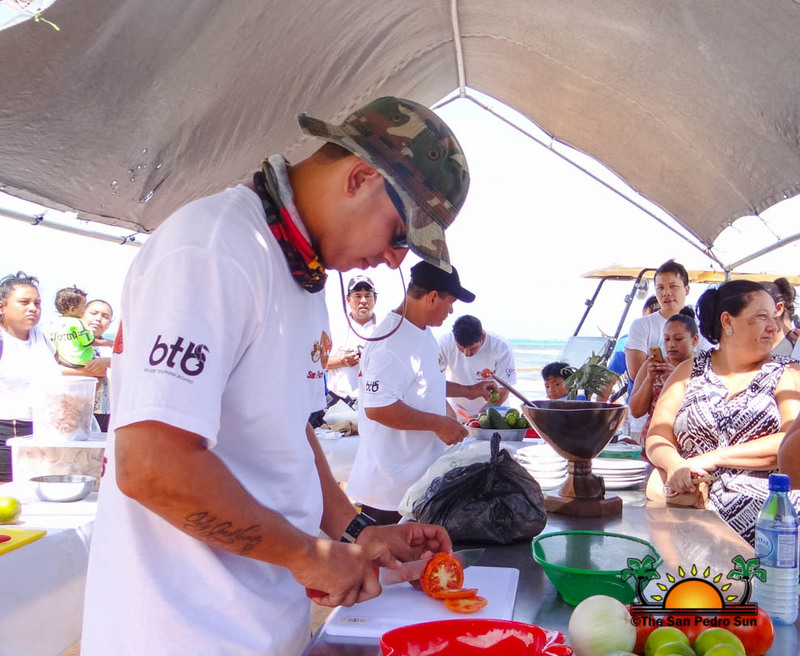 However, there could only be one winner, and that title went to Victor Nal. 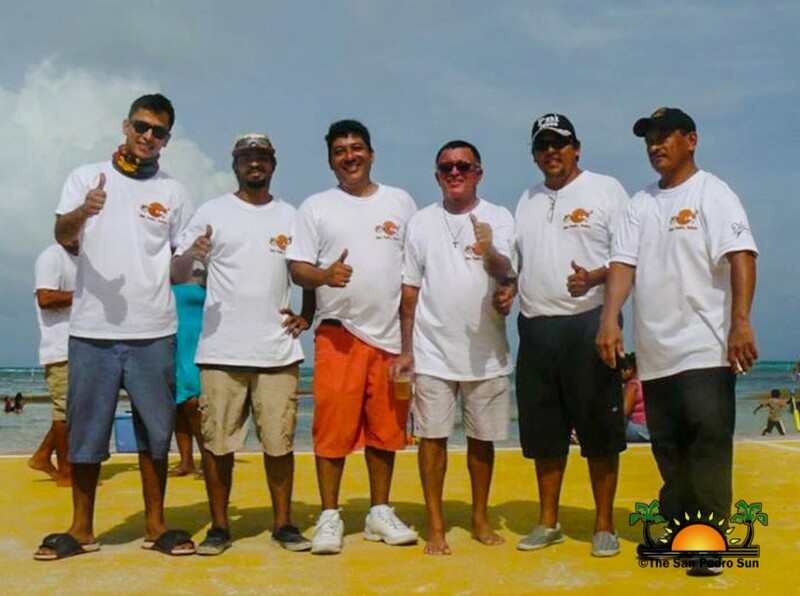 He receive a Mac Laptop and $500 cash. 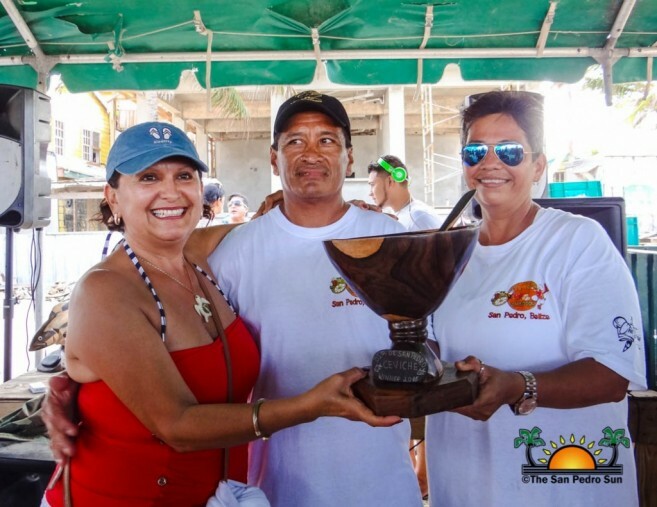 In second place was Christon Hazel who walked away with $1,000 cash, while Angel Cocom took third place and a $500 prize. 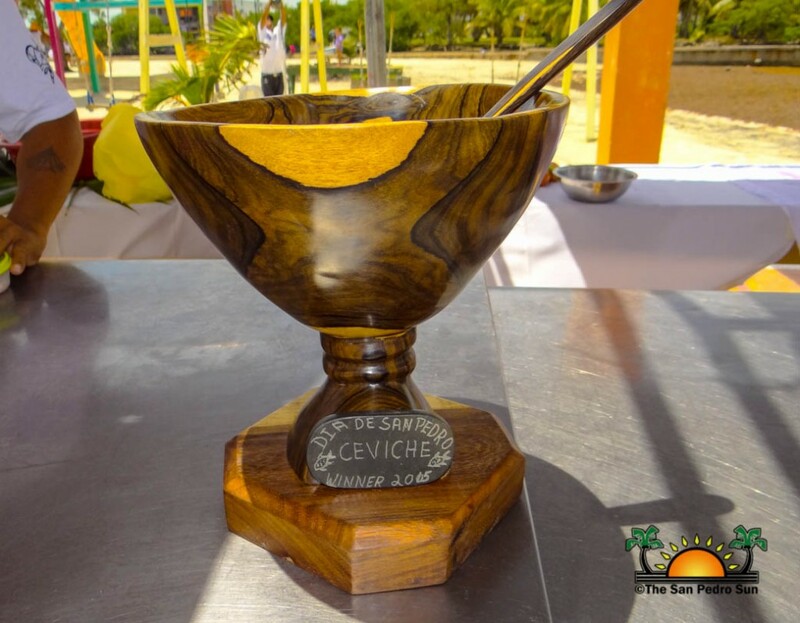 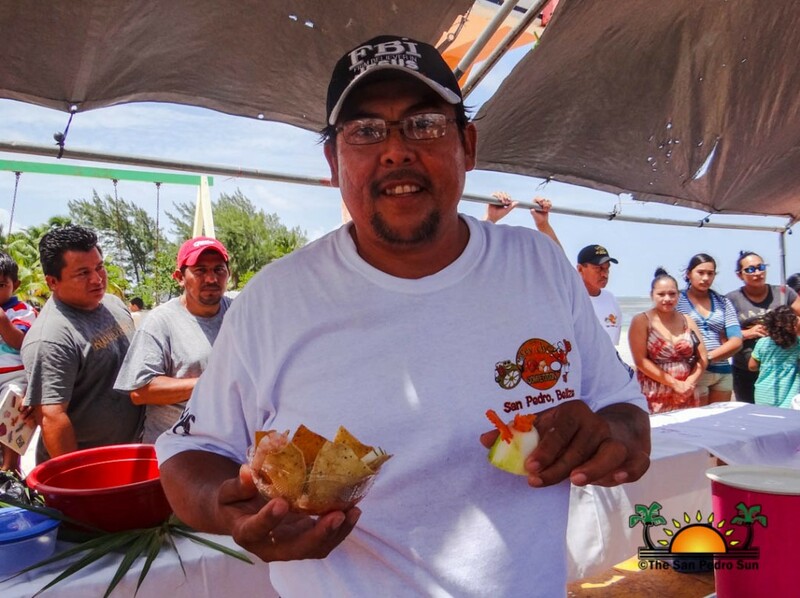 All proceeds of the Ceviche Competition went to Belize Center for the Visually Impaired (BCVI).